Certificate chain for certificates, issued before 08.01.2018 - INotaryCertChain.p12. Start Mozilla Thunderbird. From Tools Choose Options. 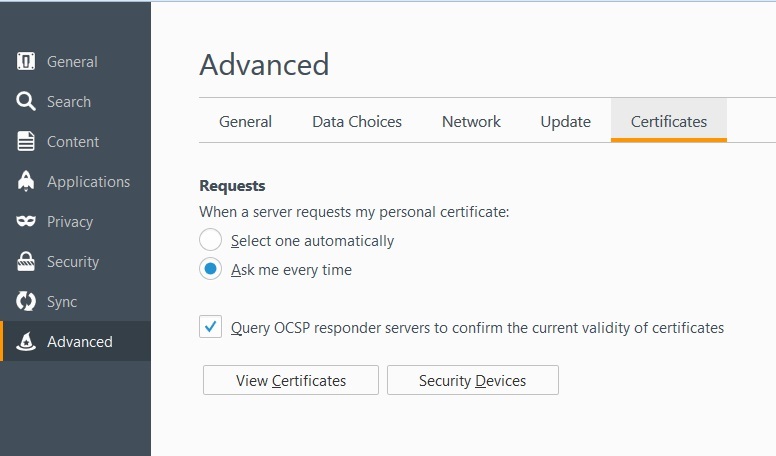 Choose Privacy, tab Security, as it shown and click View Certificates. From here the process is analogical for all Mozilla applications. In Mozilla for every certificate of a Certification Authority (CA) the user must choose a level of trust. This is done by selecting the certificate and clicking on Edit Trust. 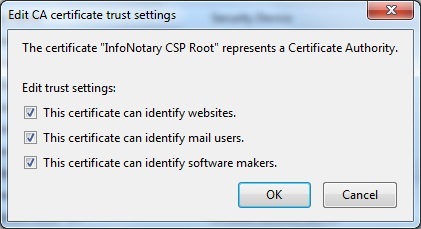 The easiest way to do this setting for the certificate "InfoNotary CSP Root" and/or "InfoNotary TSP Root" select all three possible options. 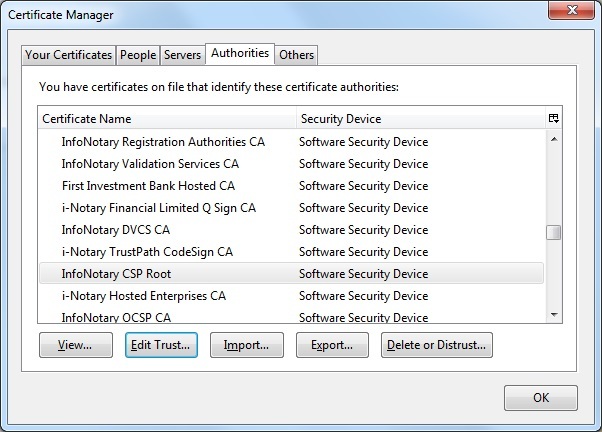 This will make all the InfoNotary trusted certificates for all operations. Start Thunderbird. From Tools, choose Options. 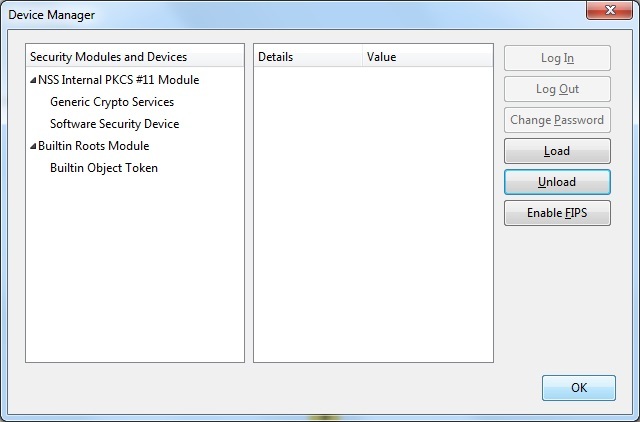 Choose tab Advanced, then Certificates, as it shown and click Security Devices. 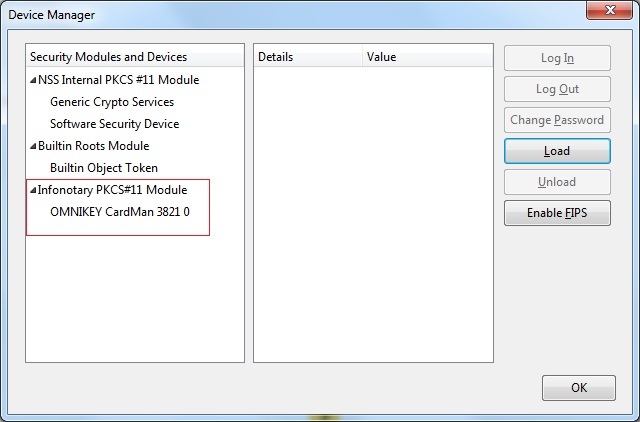 In case you use 64 bits version of Firefox or Thunderbird and Charismathics smart card, path to library is C:\WINDOWS\system32\cmP1164.dll. Choose the button Select from the field Digital Signing. Choose the appropriate certificate from the smart card and confirm by clicking OK. 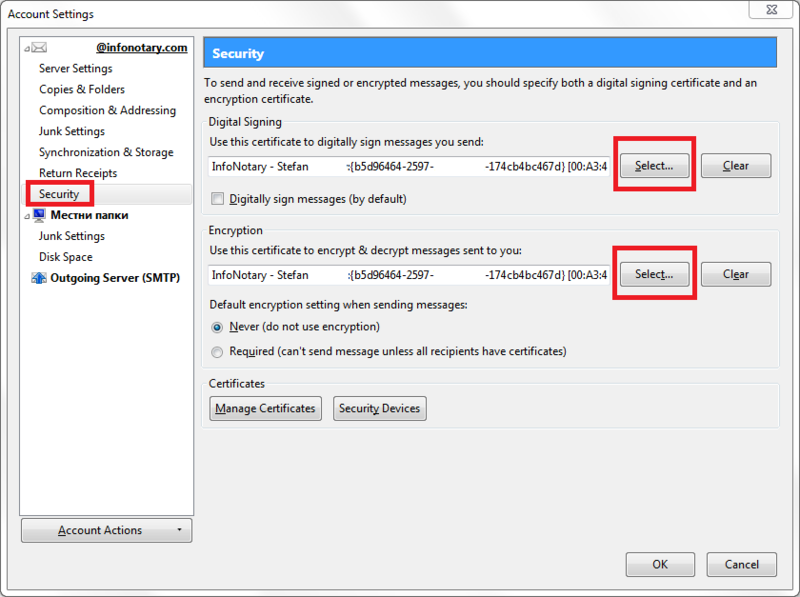 If the setting Digitally sign messages (by default) is checked every message send by you will be signed with choosed certificate. Thunderbird will offer you to choose the same certificate for decrypting messages send to you. 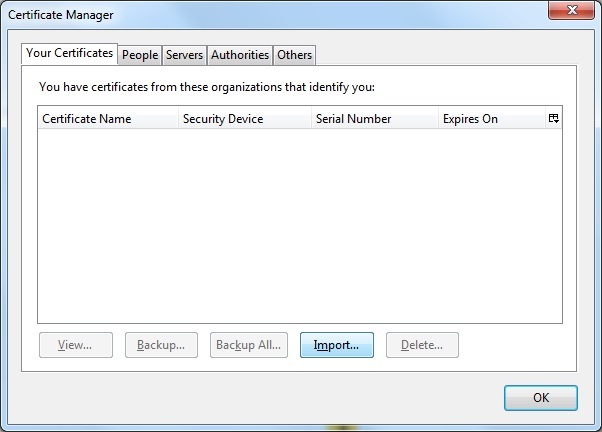 If you dont want to be the same certificate you can choose one from the button Select in the field Encryption. Please note that not every certificate can be used for encrypting or decrypting. These options depends of the type of your certificate. Последна промяна на страницата: 20:29, 31 януари 2019. Страницата е била преглеждана 23 913 пъти.